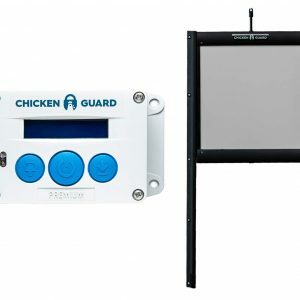 Opens & closes your chicken coop using a timer and/or light sensor. 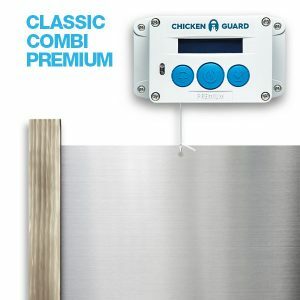 Manually open and close your chicken coop with a push of a button. Fully featured LCD display for ease of use. Powered by 4 x AA batteries (included) or electric powered via USB (cables not included). 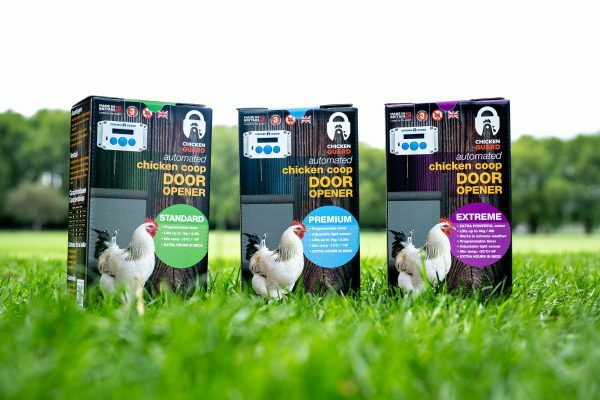 Simply mount on the outside or inside of your coop above your pop style coop door, tie the cord on the door, and use the Setup Wizard to easily program your opener. Imported from the United Kingdom, ChickenGuard offers a solid coop door opener that runs off 4 AA batteries (option USB port for external power). 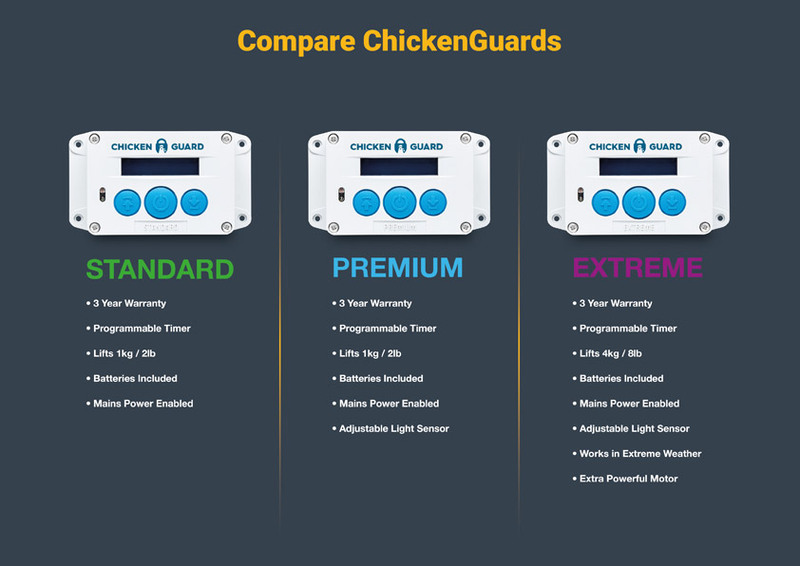 There are three models to choose from: Standard, Premium, and Extreme.